Google bought GreenBorder, a Mountain View-based company that creates security software designed to protect a computer as you surf the web. According to Silicon Valley Watcher, GreenBorder developed "an easy solution to virus, spyware, and trojan threats by isolating each Internet session from the rest of the PC and earlier Internet sessions. The beauty of the Green Border Pro software is it doesn't need to be updated to guard against new virus signatures or new types of malware. It creates a secluded, virtual Internet session and when you are done, it flushes everything away, in your cache and in temporary files." 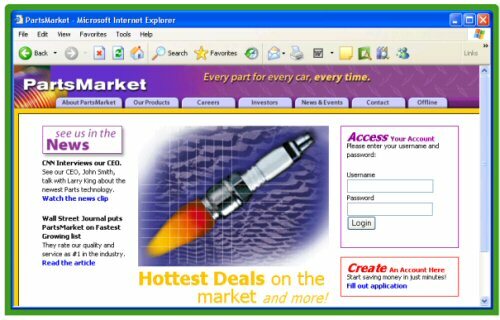 The application was initially a sandbox for Internet Explorer, but now it also supports Firefox and lets you open files downloaded from the Internet in a virtual environment. Each application protected by GreenBorder has a colored border around the window, so you know you're safe. * Keeps your PC from getting infested by "drive-by" downloads. * Blocks theft of your private identity information. * Prevents thieves from stealing your confidential files. * Protects your applications from hijacking. The Windows software is still available as a trial version at Download.com, but the full version used to cost $29.95 / year. Hopefully, Google will release a free version. Browsar web browser does a similar thing erases all the cache and other information after we exit. why does google prefer to buy such small programs instead of developing one? in the past, google buyed many small software co's other than big ones like youtube..
why rebuild the great wall and deal with copyrights when you can buy the great wall look at the structure and have the right to improve it? I prefer Sandboxie myself, amazing little program. Think you actually blogged about it once before. Found lots of uses for it, this being one. Yeah, I wrote about Sandboxie, which is free, much smaller, but it's less user-friendly than GreenBorder. Greenborder actually virtualizes the IE/Firefox session. It doesn't just 'delete cache and cleanup' after exiting IE. We used sandboxes for testing software applications. How about a web sandbox? I am sure you have seen a lot similar solutions around. Even without a web sandbox, the conventional practice is just to have AV, Firewall and a bit common sense. If it is free, I would use it for my guesses in the living room and for my parent. I would set up some Limited User Accounts and run GreenBorder. No matter how uncareful they are when surfing the internet, my computer system is still safe. Perhaps these other people just dont get it - sandboxie does not virtualise the session. note the word 'virtualise' it means in this case that the session is isolated both from future sessions, past sessions, and permanent writes to the registry and/or access to files and folders outside what is absolutely necessary to surf. Greenborder is an astounding program and works well but my concern is how google will manipulate the current code to work in its favour, just how will any addon or extension fare which interferes with pushing advertising into peoples faces? Look what happen when you try to download the soft from greenborder.com..
"Thank you for your interest in GreenBorder. We are not currently offering our applications for download or purchase. Existing users, rest assured you will continue to have uninterrupted access to your GreenBorder products! Our support team is still available to help you." Sandboxie absolutely does "virtualize" your browsing, and additionally you can install and run unknown programs in one of its "sandboxes" to see if they're ok. You don't need any AV software if you browse with Sandboxie. I think - screw Google for shelving GB. Anyone found a replacement that REALLY virtualizes the session like GB did.